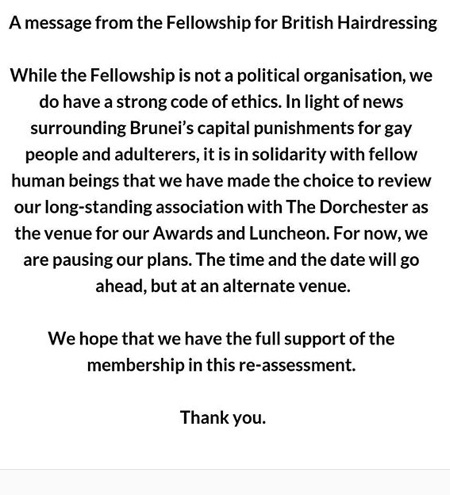 Respect to The Fellowship For British Hairdressing for its proud statement this week on dropping a long-standing appointment to use the Dorchester Hotel in London for its annual awards. This follows a call to action from George Clooney requesting a boycott of the entire Dorchester Collection hotels (9 premises across US, UK, France and Italy) which is owned by the Sultan of Brunei through the Brunei Investment Agency. 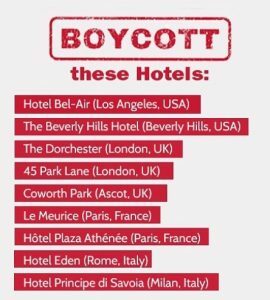 The issue is that from this week, the tiny South East Asian state of Brunei adopts Sharia punishments including the severing of limbs for theft, and death by stoning for adulterers and homosexual activity. We don’t live and work in a bubble – as individuals, as salons, as groups, hairdressing has a voice, and we urge you to use it. 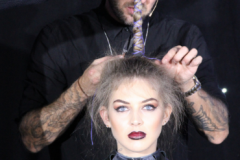 Jamie Stevens won his peers vote to make him the Fellowship for British Hairdressing ‘Hairdresser of the Year 2018’, and 12 months later, a rapt audience of industry big-hitters were just as appreciative. 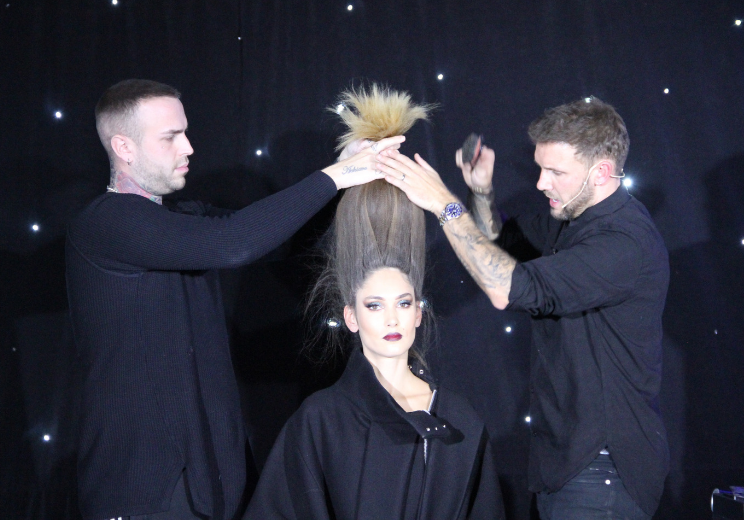 Rounding off a great year in the spotlight with ‘An Evening with Jamie Stevens’, our man revealed how as a former FAME team member, he “wouldn’t be the hairdresser I am today without the Fellowship!” Quite a strong statement, and his bold hair-work ain’t half bad either. 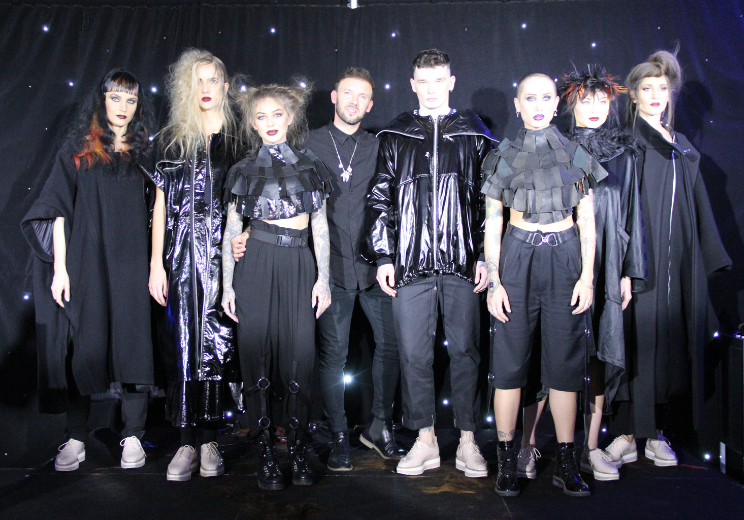 Seriously, Jamie presented seven models showcasing strong skills in cutting (a gent’s skin fade in seven minutes anyone? ), styling and avant-garde. In his interview with Fellowship President Karine Jackson, Jamie covered his life and career, sharing his future plans. He admitted that opening two salons in the space of 12 months was the hardest thing he’d ever done, but still has more to come over the next four years. Simon Shaw: 40+ years of salon experience means Simon provides business, financial and management advice, liaises with sponsors to ensure their continued support and generally helps the team maintain the smooth running of the Fellowship. Having worked in salons, including a two-year stint at Vidal Sassoon, Simon jointly opened his first salon in Maidenhead in 1984. This company grew to a 13-salon group, employing more than 300 staff. 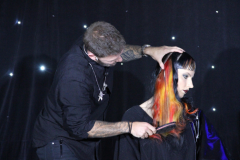 He has coached countless individuals and salons to success – most recently with Simon Shaw Education, where he teaches courses for L’Oréal both in the UK and abroad, as well as privately for individual salons. 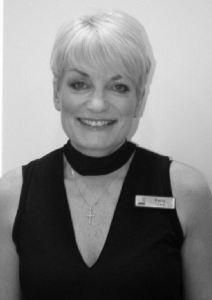 Kerry Mather: Particularly keen on developing opportunities for young hairdressers, and maintaining the growth of the industry amongst school leavers, Kerry, owns and manages KJM Salons in Hampshire. 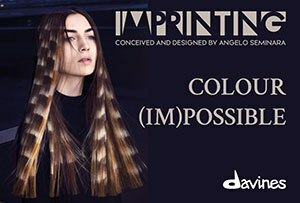 She is a former member of the Colour Project team, a Schwarzkopf Professional Colour Master and a three-time nominee for Southern Hairdresser of the Year. Her business recently won Salon Team of the Year at the British Hairdressing Business Awards; something she considers one of her greatest achievements. 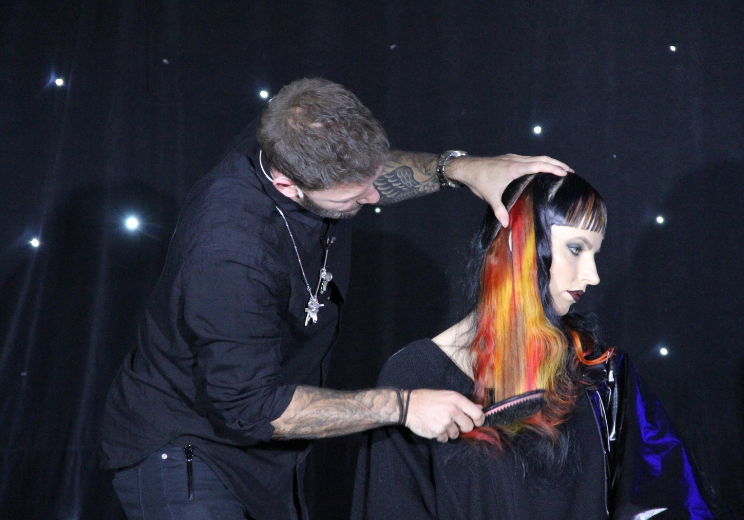 News added 21/06/18:Chris Williams, creative director at Rush Academy is our latest colour crush. We love how he’s so upbeat and easy to follow when showcasing and explaining processes, as well as being inventive with the brush work! We were happy to see Chris last week when he ran a mentor day for members of the Fellowship for British Hairdressing Colour Project team. The amazing opportunity gave CP members a chance to learn some consolation insights from Chris (who does have the gift of the gab). 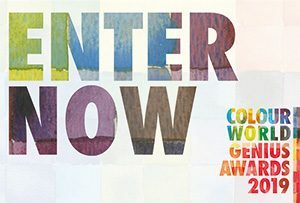 They were also able to discover how he uses theory of colour and the colour wheel to inform both his salon work and his award-winning photography. A workshop on nature, colour, print and pattern gave everyone a chance to show off. Chris also gave a demonstration on how to bring ideas to life through a demo of colour placement on block. 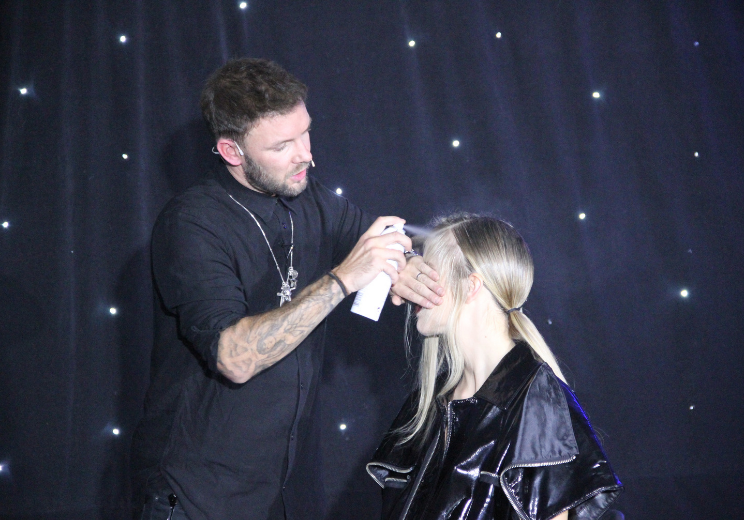 The CP team gave life to their ideas through practical sessions and were able to experiment with blonde wefts to create innovative printing effects – ranging from checks to free-hand lines and swirls. 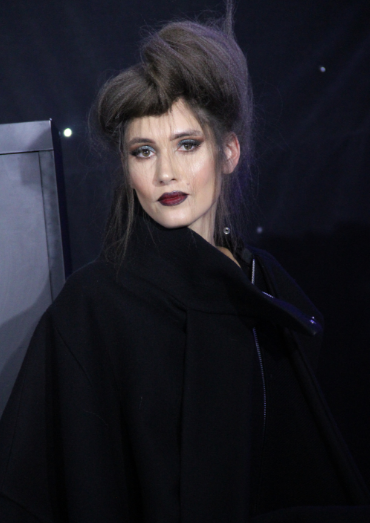 News added 14/12/17: Stalwarts of the Fellowship for British Hairdressing were honoured this month, making it a very proud Christmas for some of the most hard-working people in our industry. We’re happy to hear that Errol Douglas received Patron of Honour – only three before have collected such an award including Vidal Sassoon, Trevor Sorbie MBE and Ann Herman – and rightly so for his dedication to hairdressing. 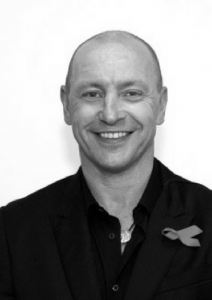 The award recognises Errol’s continued commitment to the Fellowship – hairdressing’s most respected organisation. Fellowship President Karine Jackson commented on Errol’s unwavering passion and loyalty, both in the UK and on the international stage. 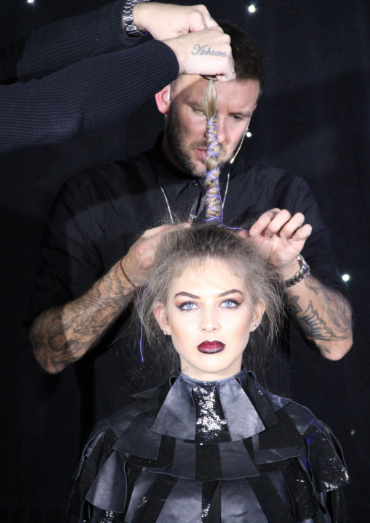 As a former President of the Fellowship himself and the recipient of countless awards, Errol is already one of the most renowned names in hairdressing. This title confirms his position as an influencer, educator and all-round role model for the industry. The hosts of the presentation where Chancellor Ken Picton, President Karine Jackson and Chairman Jo Martin. 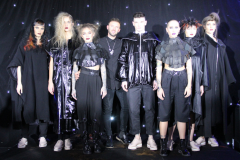 Jamie Stevens was announced Fellowship Hairdresser of the Year – congratulations.